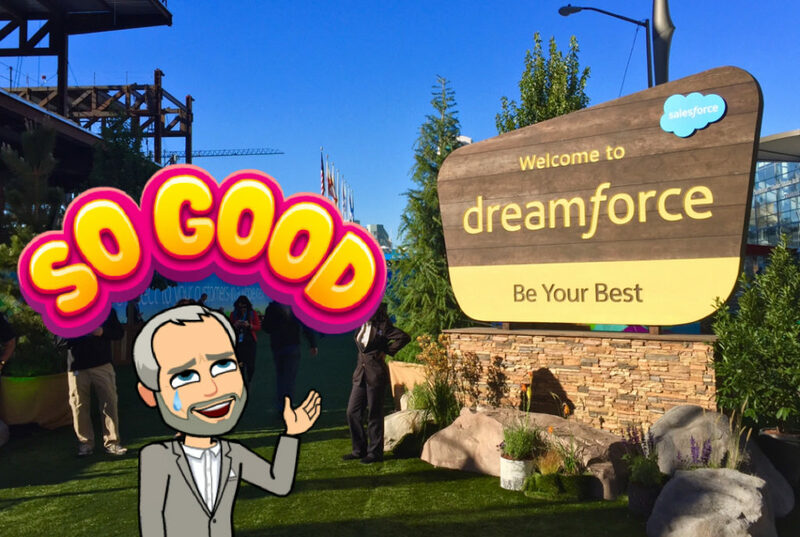 As I finalize my preparations for my inaugural trip to the Salesforce Dreamforce conference, I’m reaching out to the 170,000+ attendees. If you have potential solutions to specific projects I am working on please respond back. My agenda is already packed but I welcome hearing from solutions providers that can help me solve specific projects I am working on. Marketing Material in Salesforce – I’m looking for solutions that allow Marketing to create a library of materials for use by Sales within Salesforce. Advanced Segmentation – I’m interested in tools that go beyond the basic capabilities of Pardot segmentation. Business Card Capture – I need a tool that will scan a business card, look up a prospect and allow the field team to enter notes on that contact. 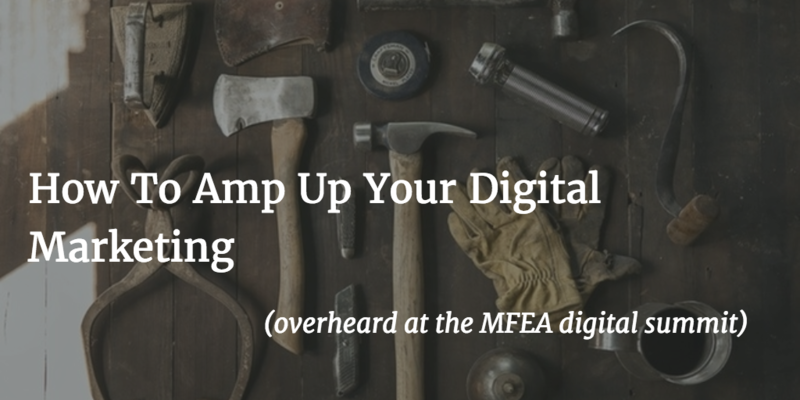 The recent MFEA Digital Summit drew digital marketers from the asset management industry. The agenda covered important topics including: Marketing Automation Platforms, Sales Enablement, Content Management Systems, Content Distribution, Data Management and Integration, Customer Experience Management, and Lead to Revenue to name a few. Attendees got to hear from select partners and, most importantly, each other on how to advance their Marketing program. I was super proud of the work Julia Binder and Victor did in our panel on the Rise of the OmniChannel Advisor. One of fun things attendees enjoyed was hearing about the “Cool Tools” used by others to solve specific challenges. These aren’t the major platforms used by digital marketers – these are the nifty gizmos that make your job easier. Studies have shown that the title of online piece is as important as the piece itself. If the title is not compelling, your audience is unlikely to click through. CoSchedule provides a free headline analyzer that scores your title providing insights on how to get the best results. The site favors “How To” posts which may not work for everyone but it will get you thinking about your audience and what messaging will connect with them. This post was originally titled “Cool Tools For Digital Marketers,” you can see my Headline Analyzer results below. As discussed in this tutorial, Jenkins is a free, open source tool to perform continuous integration and build automation. Jenkins is configured to execute a series of steps such as performing a software build → running a shell script → archiving the build result → starting integration tests. Seismic is a Sales Enablement platform used by a mobile sales force to access content designed and approved by Marketing. It is used to ensure field sales has easy access to latest proposals, presentations, contracts, etc. 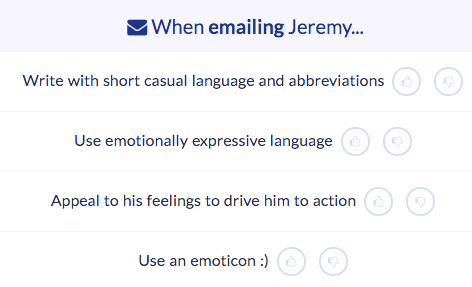 Knowing that developing engaging, interactive content is critical to prospecting and top of the funnel activity, digital marketers are turning to tools like Jebbit to create micro-content that engages your target market segments. Jebbit’s solutions cover display, on-site, native, social, search and email. Customer Experience is more than the latest Marketing fad. It produces results. As we roll into 2016 I wondered what was on the minds of other Marketing Technologists? I was curious what direction Marketing Technology would go in responding to: “what’s on your mind?.” Thank you to those that contributed their thoughts, you can click through to find and follow them on Twitter. Take a moment to share your thoughts in the comments. Participants responded in a few different ways. Some focused on the big picture and reflected on how Marketing Technology is impacting the technology landscape. Many shared the tactics they feel will drive results in 2016 and a few dared to make predictions. There was also an engaging discussion (#argument) over the rise of brand participation in Snapchat. Scott Brinker, Stacey Floyd and Matt Heinz weighed in on how Marketing Technologists will continue to advance as a profession. Not only will they rise in stature within the organization but they will become a highly prized asset, capable to driving business results. Several weighed in on specific Marketing Technology tactics worthy of consideration in 2016 including video, website optimization, integrated ecosystems and advanced personalization. Thanks to Bill Winterberg, Robert Clarke, Adam Cohen and Mayur Gupta – with the twofer – for contributing. 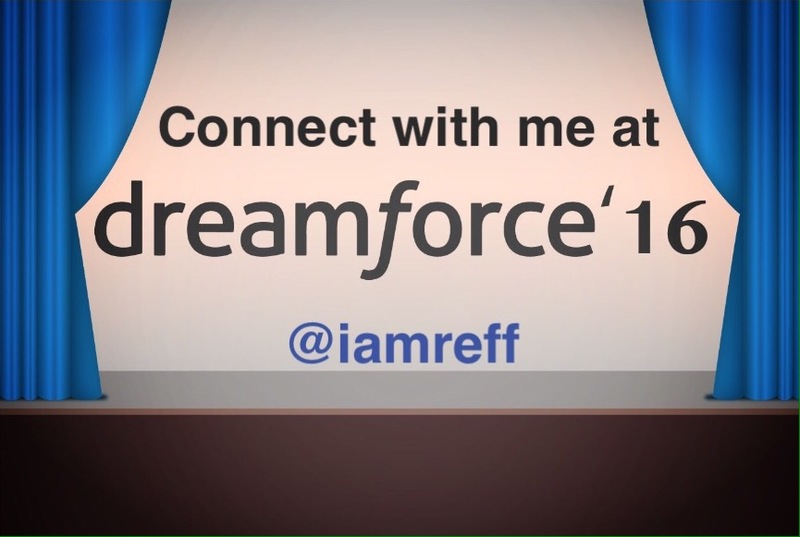 @iamreff Sure. The evolution of personalization is individualization – platforms and #bigdata enable marketers to deliver rich #custexp. Allen Gannett stirred the pot by predicting brands would invest heavily in Snapchat. Mike Langford didn’t agree about SnapChat and offered that 2016 would be the year of iBeacon. Kyle Flaherty brought a sense of responsibility to the conversation by saying us Marketing Technologists know just enough to get everyone killed – or maybe just fired. My 2016 #SMTone social media prediction: Brand usage of Snapchat matches or exceeds Instagram by the end of the year. Share your “One Thought” in the comments.